Credit cards are like weapons — dangerous in the wrong hands, but sometimes you’re glad to have one. We’ve all heard the horror stories of consumers falling into unspeakable debt, their lives crumbling as they sink into financial ruin. “With great power comes great responsibility,” as Spider-Man’s Uncle Ben would say. Purchasing power. Credit cards give you purchasing power worldwide — locally and overseas, and online, by phone and at stores, of course. Many credit cards (especially Visas and MasterCards) are accepted virtually anywhere. Rewards. By using a credit card, you can earn money back on your day-to-day purchases. Cards like the Blue Cash Everyday® Card from American Express give cardholders cash-back on purchases at U.S. supermarkets, U.S. gas stations and select U.S. department stores. If you like to travel, many cards offer free flights, hotel stays and car rentals as rewards. Of course, you don’t want to spend unnecessary money just to earn a few rewards miles, but why not make a couple of bucks on purchases you’d make anyway? Pay later. Credit cards let you buy now and pay later. We’ll discuss the dangers of this in the cons section, but being able to buy on credit can be really useful. For example, if you’re spending a lot on a car repair, it’s usually not a good idea to drain your checking account. Once that money is gone, it’s gone. Instead, you can charge it to your credit card and pay the balance over time. Gradual repayment will help keep your checking account intact. Build credit. Credit cards are indespensable tools for folks trying to build credit. By making frequent purchases and keeping current with your payments, you can quickly build a respectable credit history. Your credit score affects whether you get a loan at a fair interest rate, get approved to rent an apartment and, in some case, get a job. By using credit cards wisely, you can boost your score in just months. Emergency protection. Ideally, you should have an emergency fund equal to 6 to 12 months of your income to keep you afloat in case of a layoff, medical emergency or other unexpected event. That’s not always possible. A credit card can help you juggle unforeseen expenses. To give yourself maximum flexibility, you should keep the lowest possible balance on a card with a high spending limit. Fraud protection. Believe it or not, credit cards actually have better federal protections against fraud than debit and ATM cards. With a credit card, you’ll pay no more than $50 in the event of fraudulent transactions. With a debit card, you could end up paying the full amount if you wait too long to notice or report losing a card. Interest. One of the most obvious drawbacks of using a credit card is paying back interest. A high APR can drag you deeper and deeper in debt if you don’t pay off your balance quickly. There are a couple of alternatives. You can either pay off purchases in full before the grace period ends and avoid taking on interest, or you can apply for a card with a 0% introductory APR to give you time to pay off purchases without racking up charges. Late fees. Miss a payment and you’ll pay a late fee. Often, the fee is around $25-$35. This adds up quick for repeat offenders. Ease of spending. Credit cards make it easy to spend money — maybe too easy. When you’re not shelling out greenbacks, it’s easy to become detached from spending. Swiping that little piece of plastic doesn’t seem like a big deal. If you’re not careful, it’s easy to fall into suffocating debt. It all comes down to being careful with your money. Destroy credit. 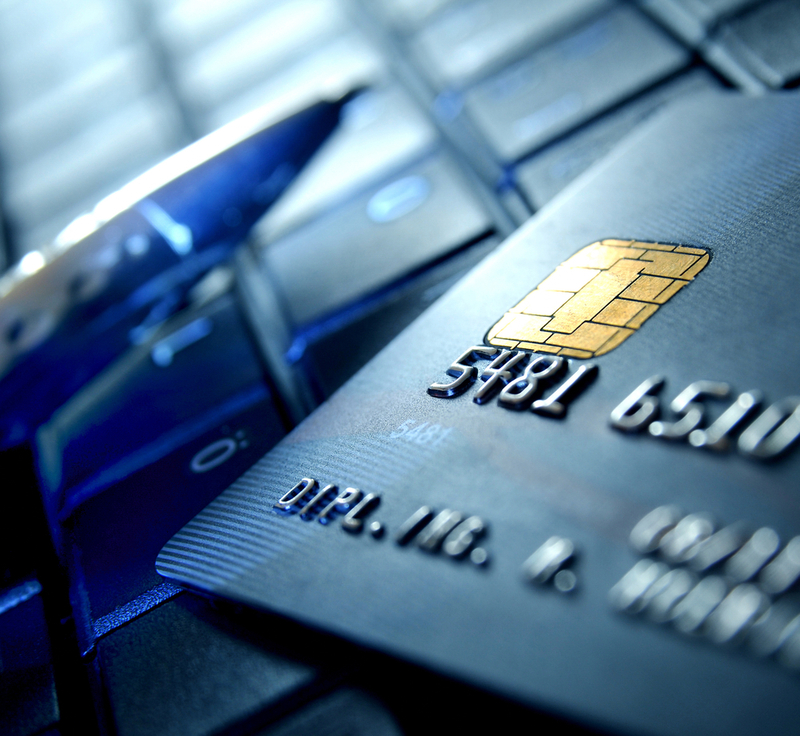 If abused, credit cards can send your credit score into a downward spiral. Your credit score will take a hit if you miss payments, carry a high balance or have too many open credit card accounts. For some people, credit cards can be destructive. But as long as you can use cards wisely, they’ll serve you well.